Welcome to CaptainFalcon.com, home of racers and bounty hunters all over the universe. 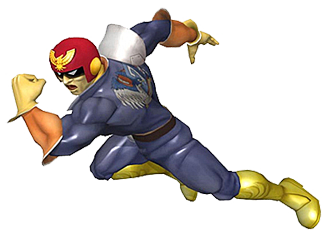 Learn how to unlock Captain Falcon in Smash Bros games! Get Wallpapers and Avatars based on Captain Falcon and his starring roles in the F-Zero and Smash Bros. series'! 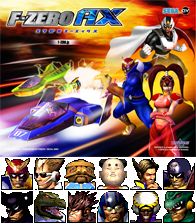 In 1991 the enigmatic Captain Falcon burst onto our screens in the Super Nintendo game F-Zero. The rest as they say, is history. The captain is a lead character in the F-Zero racing series, but has also appeared in all three Smash Bros. fighting games. Ever versatile, Captain Falcon earns a living from both the F-Zero Grand Prix circuit and capturing criminals for bounty.